It was one of those evenings when my husband and I needed a quiet place to have a great meal with a nice glass of wine. Enter this amazing Cartlidge and Browne Pinot Noir. Cartlidge and Browne Winery was established in 1980 in the charming village of St. Helena, California. 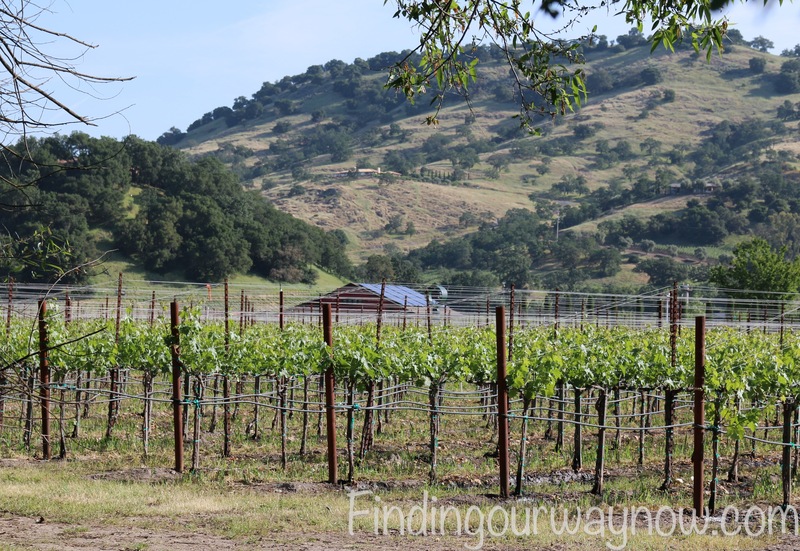 Even though there is no tasting room for Cartlidge and Browne Winery there, St. Helena is one of my favorite places in the Napa Valley wine region. It has the quintessential laid-back wine country feel. St. Helena’s Main Street is a great place to stroll to take in wine tasting rooms, boutique shops, art galleries, and amazing restaurants. Since the very beginning, Cartlidge and Browne Winery has won over its audience with their high quality, modestly priced wines. With some of the finest vineyards close at hand, this allows Cartlidge and Browne Winery to source the wine grapes they need to produce wines in the European style at consumer-friendly prices. Their attitude is tongue in check and they are known for their motto, “Please stick your nose in our business.” They approach their winemaking with the thought that it is all about the wine. They believe their wine is meant to be shared with good food, good friends and for fun times. Where can you taste Cartlidge and Browne Wine? If you’re ever in Santa Rosa, California, go to Vintage Wine Estates and there you’ll find a nice selection of Cartlidge and Browne Wines along with a number of other notable vineyards. It is a fun stop if you’re touring around the Northern California wine regions. “Cherry, strawberry, and rhubarb notes define the aromatics of this wine and are backed by hints of cinnamon and oregano. Bright flavors of cherry, raspberry, and ripe tomato are balanced by a layer of earthy mushroom. Smooth and silky! 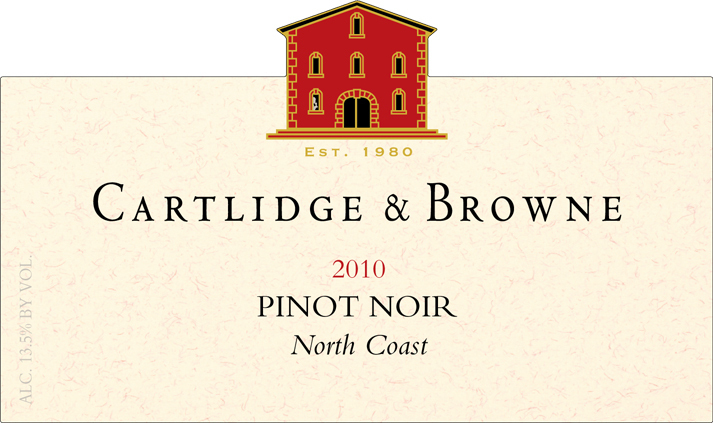 You can find this well priced and fun Cartlidge and Browne Pinot Noir on their website, wine.com, amazon.com, totalwine.com, bevmo.com, winechateau.com and many good wine purveyors. As our evening came to a close, and the bottle of Cartlidge and Browne Pinot Noir was almost empty, we both agreed that our wine choice made our evening all that we had hoped for. Anytime we share good food, great wine and conversation with a loved one it is time well spent, wouldn’t you agree? What are some of your favorite wines? Are they associated with a special memory? If you enjoyed reading about this Cartlidge and Browne Pinot Noir, check out La Follette Pinot Noir North Coast, Mark West Pinot Noir and La Crema Pinot Noir.